This month’s rezoomer story comes to us from Elizabeth Logie. Liz, as her friends know her, was kind enough to write her own story. She gets huge kudos for making my job so easy this month. Liz is a graduate of Georgetown Law School, class of 1988. After graduation she joined a large NYC law firm with whom she had worked as a summer associate. She stayed with this firm for approximately two years, then moved to a smaller firm for the next 18 months. After the birth of her first child the firm offered Liz a part-time position. She decided she’d rather stay home for a year. One year expanded to 10+ as a stay at home mom to her first, second and third child. While home she became an entrepreneur. She designed and wholesaled women’s clothing. Before she knew it ten years flew by. Liz decided to close her fashion line and helped another fashion retailer with their concept decisions. She then worked on a luxury consignment site. She soon found herself in a position where she needed more financial security. It was then that Liz realized it was time to rejoin the legal workforce. Liz describes below in her own words a very unique rezooming story. She entitles it Rip Van Winkle, Esq. After reading it you, the prospective rezoomer, might feel both scared and thrilled at the same time. It can be done. All you need to do is wake up and smell the legal coffee. Liz’s Rip Van Winkle story. When I decided to rezoom the practice of law I did some online research and discovered two programs that might be available to help with my re-entry: Pace Law School’s New Directions program and the OnRamp Fellowship. I reached out to the directors of both and was advised to enroll in New Directions and halfway through that program apply for the OnRamp fellowship. I started New Directions in September 2016 and was accepted as an OnRamp fellow and hired by my current firm later in the fall. I started my job in the Mergers & Acquisitions department of Sidley Austin this January. I am incredibly grateful for the opportunity I have been given to re-start my legal career after twenty-five years away from the law. Sidley has been a supporter of the OnRamp fellowship since its inception and they have an excellent support system in place for the fellows they hire. I sincerely feel that everyone here is rooting for me to succeed. That being said, re-entry has had some significant and sometimes overwhelming challenges. First, I am 54 years old and a first year associate. While I have absolutely no issues with either my age or my status, it has been awkward at times with both my associate peers (who are 28 years old) and the partners (who are more my peers). Just over a year ago, I had a career epiphany and decided to return to the practice of law after a twenty-five year absence. I had left my job as a corporate lawyer in New York City in 1992 when enormous shoulder pads were still de rigeur and the barbarians remained at the gate. Those were the “go-go” years on Wall Street and the corporate departments of large New York City law firms could not find enough bodies to get the work done. There were all nighters at the office, followed by all nighters at the printer, followed by closing dinners at Elio’s. These were heady times. The pace in my firm’s office verged on frantic and larger than life personalities roamed the halls in power suits and Hermes ties. Phones rang endlessly (email did not exist!) and a parade of well-heeled clients and lawyers flowed in and out of conference rooms on every floor. Everyone was talking, talking and talking some more. The role of a junior associate was largely administrative and bordered on menial. It is hard to imagine today’s associates tolerating such a state of affairs, but in the absence of the vast technological support now at our fingertips, tasks like photocopying, faxing (eek!) and blacklining (with a ruler!) fell to first and second year associates. Along the way, though, we juniors were brought along to client meetings and negotiations and included in conference calls and strategy sessions. There was constant opportunity to learn and absorb the knowledge and practice styles of the firm’s more, and most, experienced lawyers. Attorneys in the office, and even some clients, got to know one another pretty well as “people” too. I left practice following the birth of my first child and an accompanying move to suburbia. 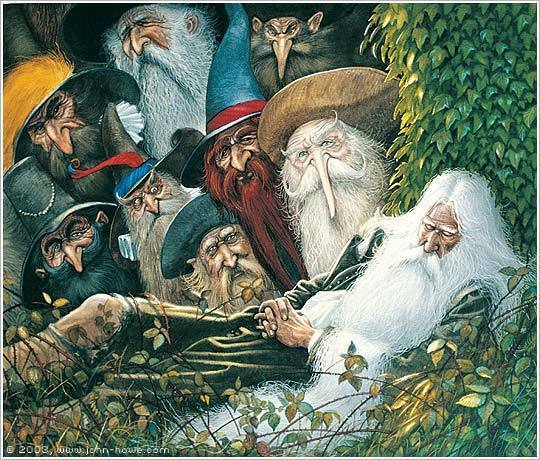 Many years, two more children and two small businesses later, the aforementioned career epiphany occurred and, like Rip Van Winkle, I woke up from my very long legal nap. Starting in January 2017 with the M&A department of a different large NYC law firm, I opened my eyes and found myself in a law practice environment that is in many ways unrecognizable to me. The most obvious difference: the QUIET. Why aren’t any phones ringing? Why are the secretaries all sitting silently working at their desks? All of the attorneys’ doors are open, yet there isn’t a voice to be heard, just the clicking of keyboards and the hum of a large printer outside my door. There is no need to take a walk to other floors or departments; a delivery or an explanation can be accomplished via email. So, while I work in an office of 400 attorneys spread across ten floors, in a typical day I rarely veer from my well-worn track between the elevator, my office and the ladies room. I have yet to have an actual client sighting, though I have heard rumor that they occasionally do visit the conference center on the 23rd floor. Power suits are most definitely a thing of the past. Very few of the male attorneys even sport ties these days and there are more sweaters than suit jackets roaming the hallways. In 1991 I was actually scolded for wearing pants to work (despite the fact that there was a rare NYC snowstorm raging outside). Now the female associates opt for the most comfortable clothes and there is nary a pump in sight. So much law is based on very old, even ancient, foundations, so one would think that the basic substance of legal practice twenty-five years later would not be so different. If one were practicing in M&A or any other transactional area, how wrong one would be! The complexity of the financial instruments and deal structures today make the revolving credit facilities of my past seem like child’s play. On top of that, there has been a virtual explosion in the use of acronyms – for deal structures, for debt instruments, for filings and for all of the agencies that govern them. Make a faulty Reg D filing with the SEC and your ABS deal could be subject to a FINRA inquiry…you get my drift. Quite a story and one that makes rezoomers scared and thrilled all at the same time. Yes it can be done. All you need is to wake up and smell the legal rezooming coffee. Hone your skills – through any kind of formal program you can find, as well as self-study. In the two months between when I was hired and started my job, I basically re-did all of the relevant law school corporate coursework on my own. It has made a huge difference. It is important to be as up to speed as possible with technology as well. Network in the legal field and don’t be afraid to talk about what you have done in your years away and why those experiences are relevant and add significant value. Re-launching is becoming a significant trend – almost every investment bank in NYC now has a re-entry program and the OnRamp Fellowship is now working with corporate in house counsel’s offices as well as firms. Clearly, returners have a lot to offer. There is never the “perfect” time and there is never the “perfect” job. Just get going. This entry was posted in Guest Bloggers and tagged Debra Vey Voda Hamilton, Elizabeth Logie. Bookmark the permalink. This would encourage so many people to re-start. I must applaud your Law-firm for not only giving you the opportunity but also supporting you tremendously. Your gratitude for your Firm is also not very common in current times. Congratulations and All the Best for your endeavor.